As technology continues to advance, the retail industry finds itself in a period of significant transformation. One of the biggest macro issues that Australian retailers are currently faced with is growing competition both online and offline. This combined with falling consumer confidence places growing pressure on Australian retailers to deliver a seamless and frictionless omnichannel shopping experience to customers. Retailers that enable technology for a better customer experience have an opportunity to stand out from their competition. One of the most effective tools that is underutilised by retailers at the moment is Wi-Fi. There are a number of useful tools that Wi-Fi can bring to both shoppers and retailers. Not only can a reliable Wi-Fi connection enhance the shopping experience for shoppers, retailers can use it to access real-time information about their customers. But a reliable Wi-Fi connection is impossible without a solid network. Here are just some of the potential costs that retailers may suffer and why a reliable internet service is essential. Let’s start with the most obvious: your point-of-sale transactions. A fast reliable network is necessary to ensure customers do not abandon the shopping cart during their online shopping journey. When your network drops or even slows down, customers will be wary of continuing with your online store. Poor connectivity in-store can also mean that transactions cannot be processed at all. All contactless tap-and-go payments at the point-of-sale rely on a responsive Wi-Fi connection. Statistics from Westpac and Visa suggest that contactless payments continue to rise rapidly. Approximately 325.4 million contactless payments were made in 2017, up 26 per cent from 2016. Your business is only as good as your customers’ perception. Consumers now have more ways to talk about poor customer service than ever before. When customers cannot access your online store due to a failed network; the result is a negative experience, and often shared widely. “Being responsive” to customers was noted as one of the top three tips to improve customer service by the Australian Retailers Association. A seamless Wi-Fi experience can aid this objective. Australia’s telco retailers have learned this the hard way. Network outages and problems have long hurt customer perception about the sector. The Telecommunications Industry Ombudsman reported in October that of the 167,831 complaints received, 34.1 per cent was due to no action or delayed action. Constant communication with your logistics and supply chain is necessary to ensure that the right inventory is delivered to not only your stores, but your customers. Without access to an integrated system that provides tracking data of how your stock is moving within your supply chain at store, warehouse, and distribution level, it can bring your entire operations to a halt. 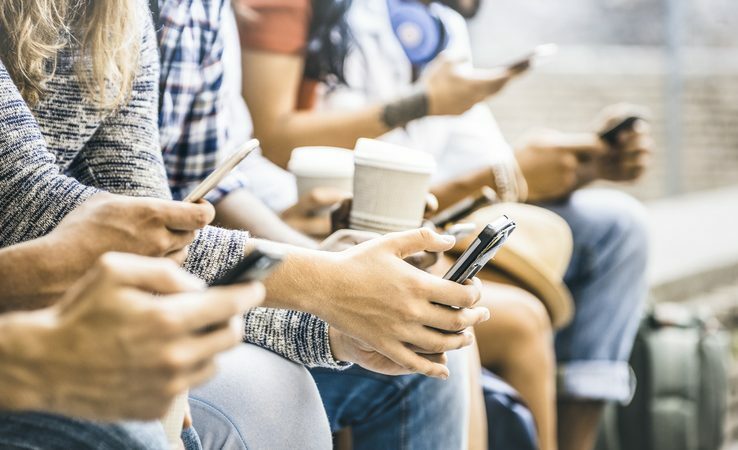 Free Wi-Fi is becoming pervasive as consumers demand to be able to use their mobile devices everywhere, without using up their own data allowance. Today’s consumers simply expect Wi-Fi access, and it doesn’t matter whether you’re a chain or a small coffee shop down the street. Complimentary Wi-Fi is becoming an increasingly significant factor in how consumers’ choose where they go. Seamless Wi-Fi connectivity can drive more sales and contribute directly to the bottom line. According to a research study by IHL Group, retailers that offer in-store Wi-Fi saw a mammoth 663 per cent increase in sales compared to those that do not. Retailers can also use Wi-Fi-enabled presence analytics to collect customer data and use that information to personalise deals for shoppers whether that’s allowing them to redeem discounts or scan loyalty programs right instore. But keep in mind, shoddy Wi-Fi can be worse than having no Wi-Fi at all. Poor Wi-Fi can hurt your brand’s identity and ultimately the customer experience. Offering free Wi-Fi can boost the customer experience. However, it can come at a cost if the network is infiltrated by cybercriminals. A survey commissioned by CouriersPlease revealed that 93 per cent of Australians are uncomfortable shopping online, with the biggest concern around the issue of credit card theft. A secured network can help mitigate risks and ensure that any personal or financial information sent across a retailer’s network is unattainable by cybercriminals. To accomplish this, retailers need to set up two separate networks: a secured business-only and a guest network. This way any confidential information remains secured, while customers can still benefit from your guest service. To be successful in today’s competitive retail landscape, a reliable network connection is mission critical. James Bergl is Datto’s Regional Director Australia and New Zealand at Datto.